ONE, my life as I once knew it will never be the same. TWO, the person I’m in love with might not even exist. THREE, the deception that has unfolded before me has the power of life and death. Sixteen year old, Breanna Davis, has heard the saying; life isn’t always what it seems…well, that saying rings true now more than ever. As horrifying visions appear before her, revealing tragedies that will forever change the fate of those she loves, she realizes that she may be the only person who can stop them from becoming reality. Amongst the chaos of this new discovery, Bre is faced with a stranger, Eve, who moves in on Bre’s friends and begins to follow her every move. As Eve’s true motives begin to surface, Bre must fight against, not only the visions, but the dangers Eve holds close. There is another secret kept- Collin, a boy held captive in Bre’s dreams, the boy she is secretly falling in love with but isn’t sure he even exists. As she tries to make it work with Austin, an old friend who could possibly be more, Bre battles against her feelings for Collin. Bre is faced with an almost impossible decision, to choose her life or follow her destiny. If she doesn’t intercede, people will certainly die. If she does, her own life could be at stake. In the end, if she fails, she’ll lose everything. I stood there, silently watching him, my mind willing me to move forward, but my body remained frozen. My heart began to beat heavily, the way it always does when he comes into view. He was just ten feet away from me now. I felt lightheaded and found it difficult to breathe. I decided this time I had to move slowly. I had to focus on slowing down my mind to take everything in. I took one step closer, studying him carefully. His dark, almost black hair glistened in the descending sun. Even though I wasn’t looking directly at his face just yet, his beauty took my breath away. I felt it coming, one more step and he would know I was here. I was anxious to see his face again, but unwilling for our encounter to end. I took a deep breath and moved, as if the simple action of taking each step was timed, he turned and rose to his feet, his face blank. I thought my heart was going to race out of my chest. I hoped for a sign this time, some kind of acknowledgment from him. Was he happy to see me? Was I not what he was expecting? What secret thoughts were running through his mind? I knew the time had come. No more stalling, I had to go to him. I began moving toward the stream where he stood. This time, I would look directly at him, look into his eyes and make myself known. “Bre, this is Collin,” a voice introduced me as I approached. Though the voice was somehow familiar, I was oblivious to who had said it. All I cared about was making sure I captured this moment in every detail. Collin’s deep, royal blue eyes looked into mine and I realized I had never felt like this before. My nerves flared with an intensity that burned deep within me and held me captive in his gaze. Every bit of him was perfect. His silky hair fell perfectly over each side of his face. Occasionally, a strand or two would move gently across his forehead and dance along his eyes. His shirt melted into his chest, making it impossible for me to ignore the definition of his body. He slowly lifted his hand, gesturing for me to take it. “It’s nice to meet you Bre.” His bright smile stretched across his mouth as he waited for me to respond. I swallowed, knowing what was going to happen next. I tried again to slow my mind down even more, pleading with myself to make this moment last. When I couldn’t hold on any longer, I reached out my hand in one last attempt to succeed. But I failed, and woke up. Jaime grew up in a small town in Northern California. Having a passion for dance and music, never would she have thought herself to become an author. 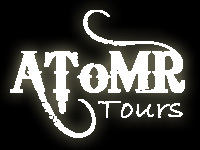 In late 2008, a story was born and a writer was developed. Jaime found the pieces of her novel beginning to take form and soon she had a full novel in her hands. 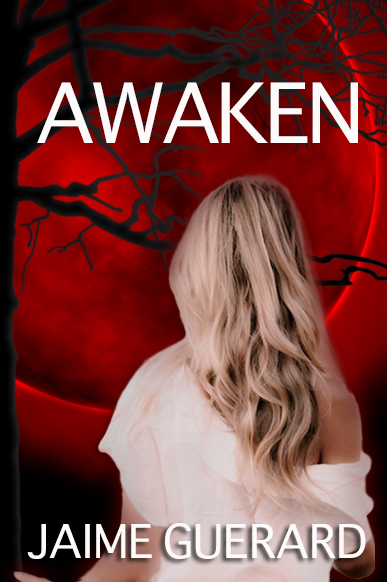 Awaken is Jaime's first published novel. With many features still in the works, this debut novel is just a taste of the action-packed romantic thrillers to come from this aspiring new author. Jaime is a committed wife and mother of 3, who loves life and doesn’t take anything for granted.